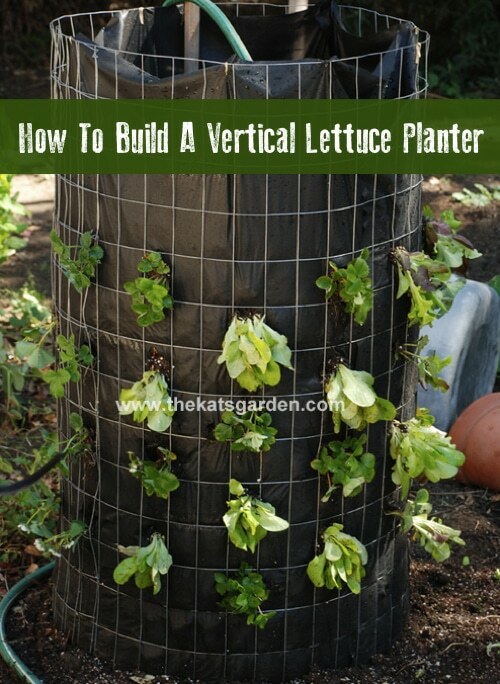 These DIY vertical lettuce towers are super easy to build and install in any yard. The tower is made up of 4 foot tall galvanized wire fencing lined with weed barrier fabric. The center of the tower is filled with bark that acts as a watering and feeding tube for the tower. The outer ring of the tower is filled with soil and compost, and the lettuce plants are inserted in it through holes cut into the weed barrier fabric. This is a very nice system and budget-friendly too.